The translucent silhouette, the unexpected, ever-premonitory quality; all have made rainbows the protagonists of myths and legends since time immemorial. Intuitively, they’re associated with a path leading to heaven, to light, and with other symbols of that connection between our own world and others. Their explanation as a natural phenomenon may seem simple, but humankind has long marveled at their ephemeral existence. 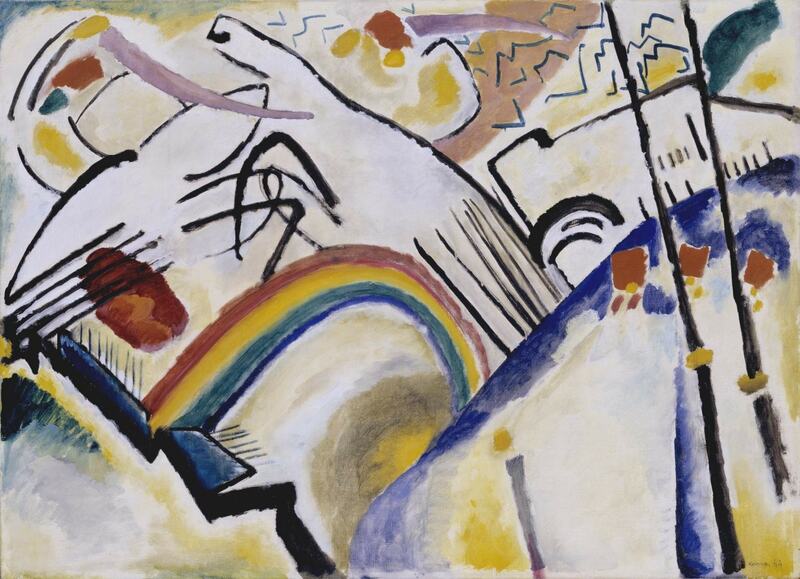 And thus, humankind has also honored rainbows by representing them in works of art and in nearly every kind of narrative. 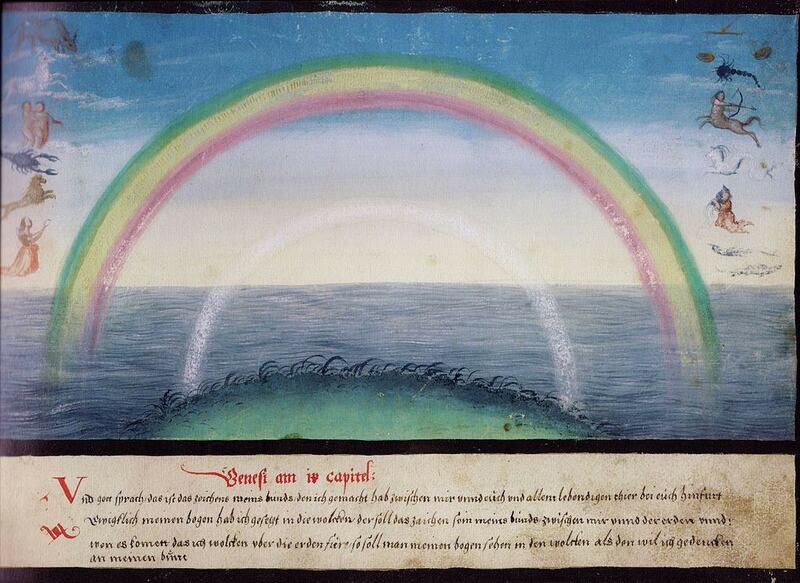 Mythology touches, even, the rainbow’s very name. 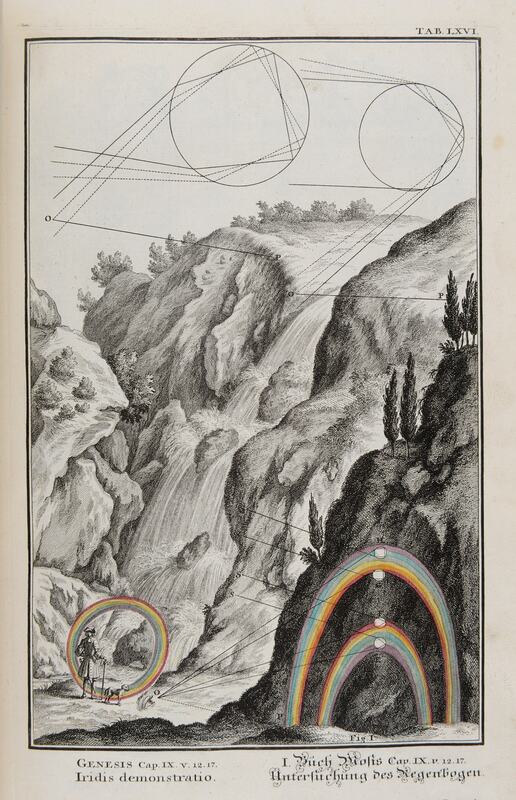 In Greco-Roman cosmogonies, the arch of color was a path, drawn by the messenger Iris, to connect heaven and earth. For the Chinese, it was a crack in the sky, made by five colored stones cast by the mother goddess Nüwa. For the Hindus, it was Rama’s, (an incarnation of Vishnu) arch. And in Norse mythologies, the phenomenon represented a bridge connecting Asgard and Midgard, the kingdoms of gods and men respectively. Thus, it was called Bifröst. In the Buddhist world, the rainbow symbolizes the highest state an aspirant may reach before Nirvana or enlightenment. For Mayan cultures, the arch was actually a tiara worn by Ix Chel, a mother goddess associated with the jaguar and with rain. Finally, the rainbow, or rather, its birthplace, is also a place of mischievous leprechauns – the elves of Irish mythology – and where they hide their pots of gold, still a nod to the value attributed to the singular event of a rainbow. 1. Folio 2 (Genesis), Augsburger Wunderzeichenbuch (1550). 2. 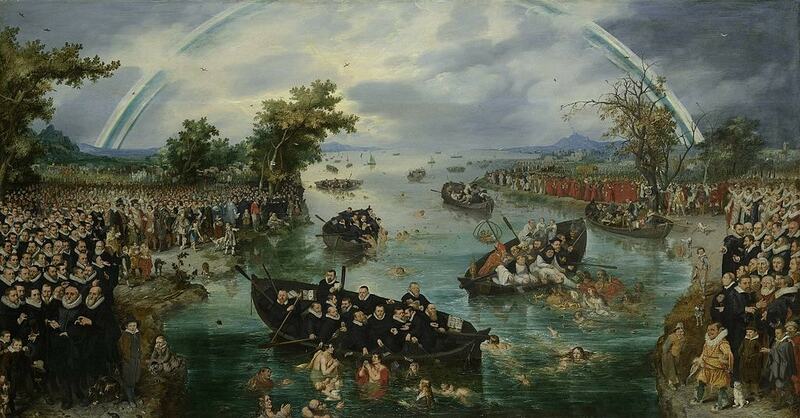 De zielenvisserij, Adriaen Pietersz (1614). 3. 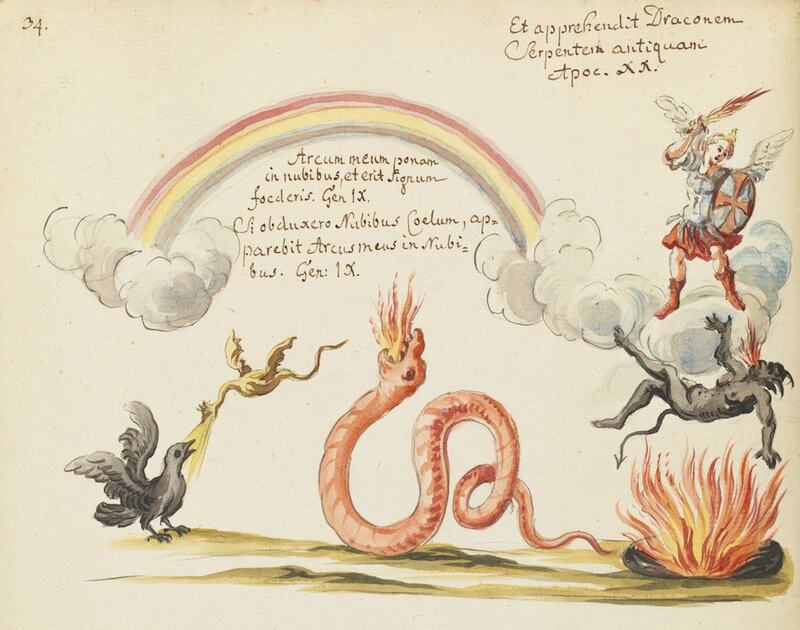 Et apprehendit Draconem in Thesaurus Thesaurorum et Secretum (1725). 4. Physica Sacra, Johann Jacob Scheuchzer (1731). 5. 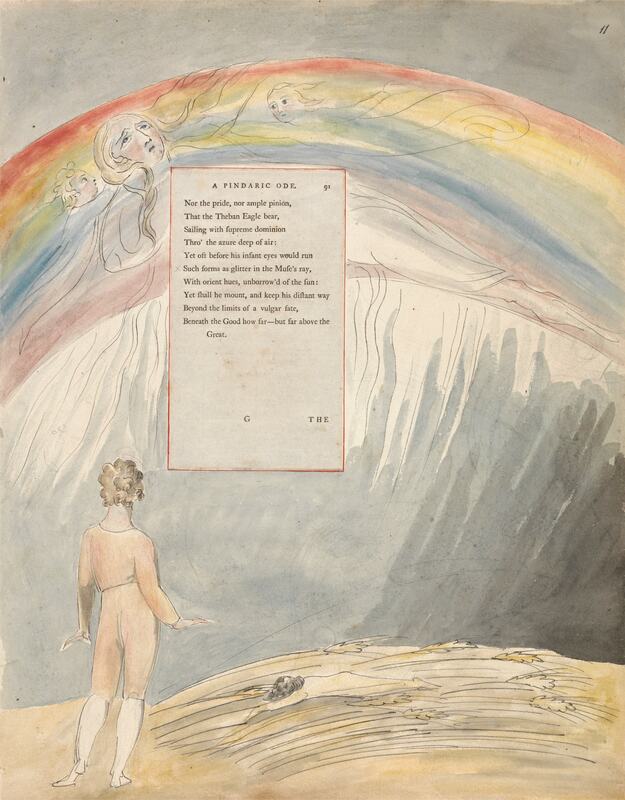 A Pindaric Ode (illustrations for Thomas Gray’s poems), William Blake (1797). 6. 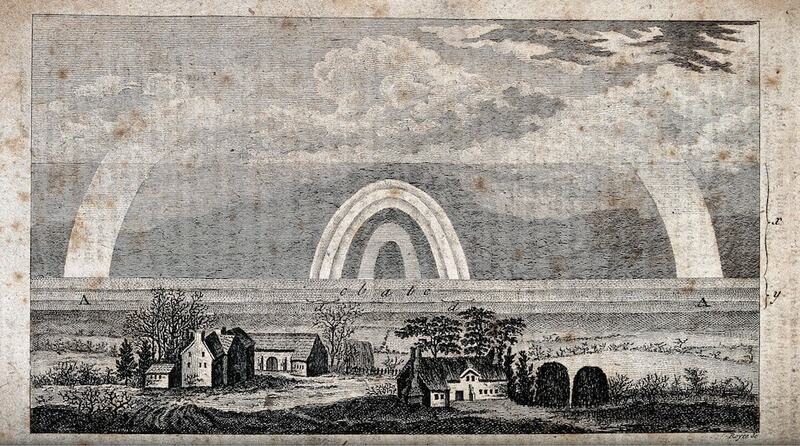 Meteorology: A Double Rainbow over the Fields in the Country, Royce (1805). 7. 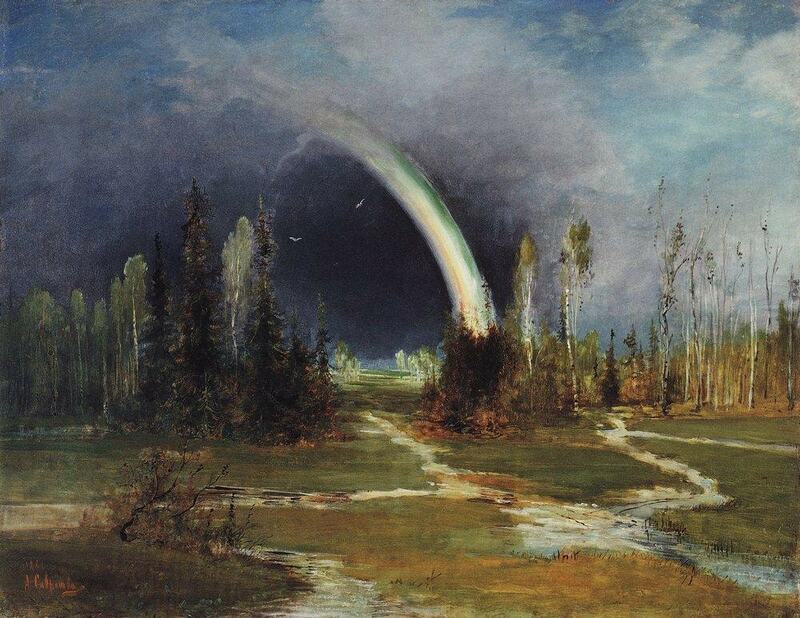 Landscape with Rainbow, Alexey Savrasov (1881). 8. Cossacks, Wassily Kandisnsky (1910-1911). 9. 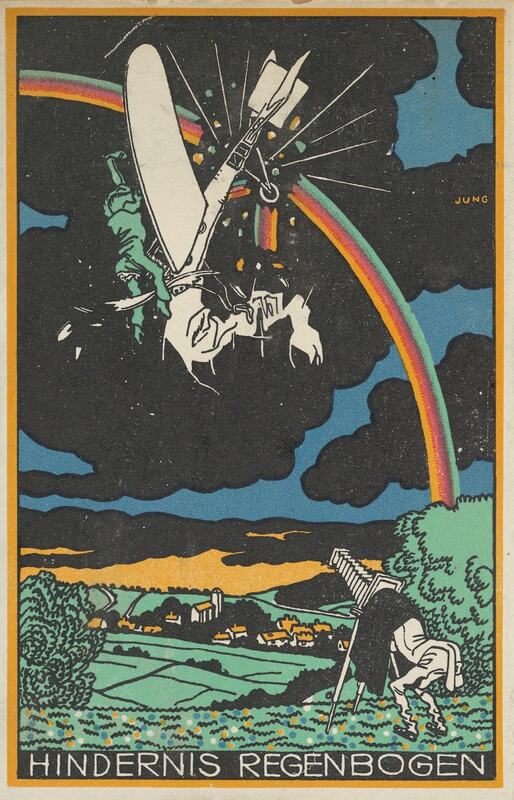 Rainbow Obstacle, Hindernis Regenbogen (1911). 10. 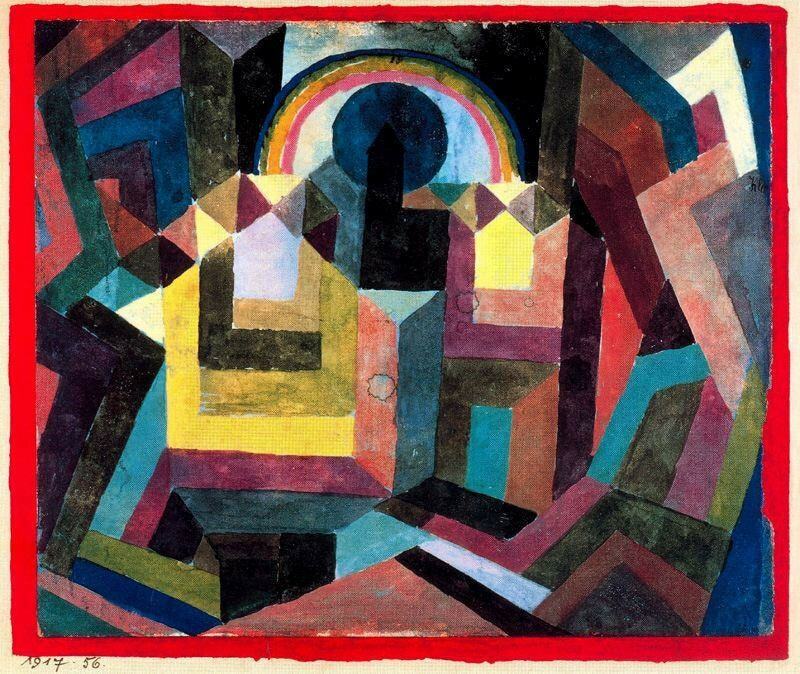 With the Rainbow, Paul Klee (1917).